By point-spread standards, Howard pulled off perhaps the biggest upset in modern college football history Saturday night. 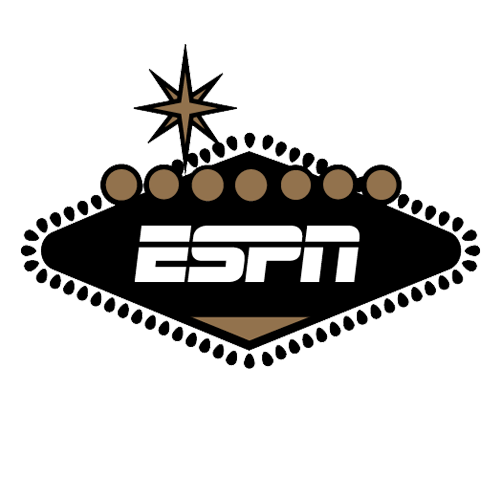 The Bison, an FCS team from the Mid-Eastern Athletic Conference, entered as 45-point road underdogs against UNLV and stunned the Rebels 43-40 in Las Vegas. UNLV paid Howard $600,000 for the appearance. Las Vegas sportsbooks were not offering a money line on the game, but the Bison could be found as 600-1 long shots and even higher at some offshore books. Howard's win comes a day after the 10-year anniversary of Appalachian State's upset of Michigan in Ann Arbor. No point spread was archived on the game between the Wolverines and the Mountaineers, who at the time played in Division I-AA. Jeff Sherman, oddsmaker for the Westgate SuperBook, formerly the Las Vegas Hilton, told ESPN that he recalls having Michigan favored by "31-33" points over Appalachian State. In the same season, Stanford upset USC as a 39-point underdog. Las Vegas sportsbooks, in the past, did not offer betting on some games featuring FBS versus FCS competition. But as the sports betting market has grown, books have increased their menus and now offer odds on more obscure games. The Westgate didn't post a point spread on the Howard-UNLV game until Saturday and attracted only minimal betting on the game, according to Sherman. Since 2005, there have been 254 games featuring point spreads of 40 or greater, according to sports betting database BetLabSports.com. Before Saturday, 40-plus-point favorites were 253-0 straight-up. Howard was not the only massive FCS underdog to pull off a stunner Saturday. Liberty, a 33-point road underdog, outlasted Baylor 48-43. Howard quarterback Caylin Newton, the younger brother of Carolina Panthers star Cam Newton, accounted for 330 total offensive yards and three touchdowns to lead the upset Saturday in the debut for new Bison coach Mike London. Newton had 21 carries for 190 yards and two scores and passed for 140 and a score. Howard raced to a 21-9 lead when linebacker Devin Rollins returned a fumble for a 75-yard score midway through the second quarter. The Rebels responded by reeling off 24 consecutive points and led 33-21 after Charles Williams plunged in from a yard out with 6:45 left in the third. Anthony Philyaw scored touchdown runs of 3 and 11 yards to put the Bison back up 34-33. Lexington Thomas scored for UNLV for a 40-36 lead, and Newton concluded the scoring with a 4-yard run with 7:34 left to play. Thomas had 21 carries for 151 yards and two touchdowns, and Armani Rogers passed for 220 yards and a touchdown for UNLV. Sept. 22, 2007 Syracuse at Louisville -38.5 Syracuse won 38-35.